Today I’ll introduce to you another experiment that can be your way of starting minimalist lifestyle or can help you declutter another category of things. I’m currently applying it to my Boys’ clothes. Let’s start! How to minimize your kids’ wardrobes? 1 | Have all their clothes clean and dry. We need to have all kids’ laundry done because we want to do the decluttering once and for all and review all their clothes. But if it’s impossible because of your work/mother’s duties overload, at least make the list of items that are waiting to be washed and remember about them in next steps. 2 | Divide kid’s clothes into categories. Put all short-sleeved shirt together, long-sleeved shirts on another pile, long pants, shorts, sweaters & sweatshirts, socks, underwear, pajamas and things for outdoors: jackets, scarfs, caps, hats, shoes. 3 | Put item in every category in order from the best/most favorite to the least favorite. And keep one shelf empty (let’s call it the experiment shelf)! It’s a very important step because we’ll not only pare down the number of clothes but also choose the best to wear so your kid will look fantastic every day. Apply it also to your wardrobe: life is too short to keep wearing our worst clothes and saving our favorite and best looking for someday (If you don’t know it yet, read my favorite essay by The Minimalists’, Someday). And, secondly, we’re judged on the basis of how we look. You can try to run away from this social game because of being environmentally conscious consumer or anti-consumerist, but… it doesn’t change the rules of the game nor the fact that the game keeps being played. If you’re at the place where you try to accept it, my two articles can help you: How Am I Changing Right Now and 3 Things to Beware on Your Path of Minimalism. Have it in mind. I was neglecting this sphere for years but now I’m in the game, accepting that proper look makes difference. 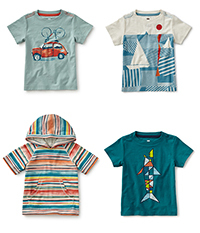 So you should have a pile of short-sleeved shirts (or have them put vertically in a drawer like Marie Kondo teaches in her books – The Life-Changing Magic of Tidying Up and Spark Joy, on top of which (or in the front of the drawer) you have the best looking or kid’s favorite tees. Then there are less favorite and at the bottom, you have the worst looking, worn-out or just not liked ones. And you do it with every category, even socks! Don’t count shirts or dress, or pants for special occasions as other shirts, dresses, pants etc. 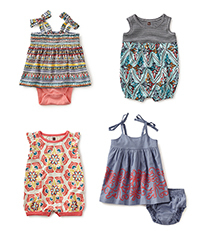 Clothes that you don’t want your kid to wear on average days can make a separate category. 4 | Day 1 and the best clothes. On the first day of the experiment, dress your kid in their best clothes: first shirt from the pile, first pants, first pair of underwear, first socks. If you need, take the first sweat-shirt or other warmer clothes, depending on what you need on this day. If any item gets dirty, put it in the laundry and replace it with number two from this category. 5 | Collect best items. When your kid is already in their pajamas, put clothes used during the day on the empty shelf (what’s dirty goes of course to the laundry!). Do the same with clothes that were used only for a part of a day and no longer needed. Every item that was worn from the day 1 of the experiment, goes to the laundry or to the experiment shelf. Again, dress the kid in the best clothes, used on the first day. If any item went to laundry, replace it with number two, then three and so on. Just have in mind rules from steps 4 and 5. Wash kid’s clothes as often as you want to do it, as it’s in your family schedule. Experiments with the frequency of laundry could ruin our goal: for example, you’d end the minimizing with a too low number of items which would lead to give up the results and go back to having and using everything, which means probably: too much. Put all washed and dry clothes to the experiment shelf. This is why I prefer that you have no dirty clothes at the beginning of the experiment – dirty clothes from the periods before and during the experiment could mix and ruin the results. See also: How I’ve simplified laundry? If until the day of putting dry washed clothes on the shelf you’ve used four shirts, use them again. Use clean clothes from the experiment shelf. If there are shirts on this shelf, take one of them (doesn’t matter now if it’s number 1, 2 or 3). Don’t go to the rest of shirts (number 5 and rest) until there are no shirts on the experiment shelf. 9 | Observe and find your time to end the experiment. Watch how many clothes your kid is using, how often do you do laundry. Get conscious about it! When you’re at the point that there are enough clothes on the experiment shelf, meaning you almost don’t add anything from categories places, you can end the experiment. 10 | Decide what to do with not used clothes. Your kid’s wardrobe is now clothes from the experiment shelf (and what’s in the laundry). Now you have to make decisions about the rest of clothes. Be reasonable and don’t get rid of a winter jacket and more pairs of long pants if you’ve taken the experiment during summer! Keep a few items for special occasions if you want. Most of the clothes remaining besides the experiment shelf you can hide and keep (to replace worn out items or for younger siblings) or sell/give/throw out or use for cleaning – the clothes in really bad condition – if you’ve earlier kept them. 11 | Enjoy benefits of simpler kid’s wardrobe. – More place in the closet or even less furniture and more place in kid’s room. – Less stress with choosing what to wear every day. See my Boys’ minimalist closets. Another wardrobe experiment to try. On the one hand I like the idea, but on the other hand, if my kid didn’t mess up any of his clothes, I don’t think I would send him to school in the exact same outfit 2 days in a row. So even if all of outfit 1 stayed clean, I’d have to atleast switch out something with outfit 2 for the next day. Wow, it’s insane (and sad) that today parents feel like they can’t send a kid to school in the same outfit the next day! This way market and society keep telling us: buy, buy, buy! Of course, you can add more clothes to your kid’s closet if you need.